This is the first of a series of posts detailing the remarkable story of HKSBC chief Vandeleur Grayburn, who died in Stanley Prison almost exactly 70 years ago. Please ignore the random changes in type and spacing imposed by the system - if one passage is corrected another goes wrong! In January 1938 two of the best-known (and best) British writers were in Hong Kong. 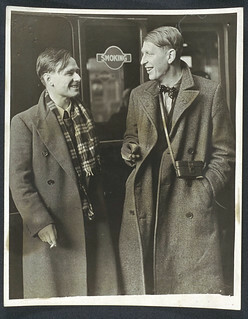 Wystan Hugh Auden was the most distinguished poet of the generation that followed on T. S. Eliot's modernist revolution (roughly 1910-1925), while Christopher Isherwood, his friend and intermittent lover, was a talented novelist. 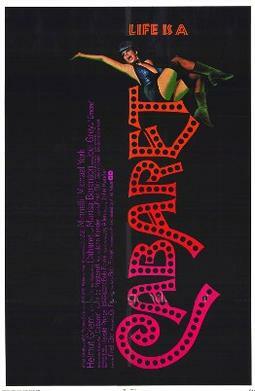 Auden had already written the poem ('Stop All the Clocks') that was to be so successfully used in Four Weddings and a Funeral (it's far from being one of his best though) and Isherwood had gone through significant experiences in late Weimar Berlin, which he was in the process of turning into novels that would later to be adapted into the Oscar winning film Cabaret (1972). They were, self-consciously, radical intellectuals, and they were looked to for a lead by many members of a generation driven to the left by the mass slaughter of WW1, the apparent promise of better things held out by the Russian Revolution, and the disillusion with capitalist economics brought about by the Wall Street Slump (1929) and the 'great depression' that ensued. Auden had started his poetic career in the late 1920s, often writing in traditional forms, or recognisable adaptations of them, but taking full advantage of Eliot's demonstration that a poetry adequate to the complexities of the modern world needed to be difficult. But, like Eliot, he like to spring surprises on his audience, and in the late summer of 1932 he sent a poem to Isherwood called 'A Communist To Others', which offered overt political commitment and an appropriate new style. The poem started with an address to the workers – 'Comrades who when the sirens roar'1- and continued in a way which, although by no means simple throughout, was to give most contemporary readers good reason to believe he was trying to reach a much wider than audience than the tiny elite who'd appreciated his earlier work. His poems thereafter varied in style and register, but some of the best known were written in the same 'accessible' style – for example, the favourite anthology piece 'O What is that sound which so thrills the ear', and the still controversial poem about cancer, 'Miss Gee'). His poem 'Spain 1937' was not only a politically 'committed' work itself, it was also about the inevitability of poetic commitment, arguing that everything but 'the struggle' needed to be put off until the outcome of the battle for Spain had been decided. Auden himself went to help the Spanish Republic, albeit putting in no more than a short spell (leaving London on January 12, 1937 and returning about March 42) as a propagandist. Isherwood came out of the same privileged middle class social strata as Auden. In 1929 he'd followed Auden to Berlin – his friend had been promised a parental allowance until his twenty third birthday, and had broken with the tradition of taking a 'gap year' a year in Paris. The German capital in the last years of the culturally vigorous Weimar Republic and during the first stage of the Nazi takeover was the perfect place for a writer of Isherwood's particular talents – he had a gift for rendering ordinary events in a lucid prose and for an apparently non-judgemental objectivity, which of course made his actual judgements (which no writer can avoid) seem compelling. In 1935 he had published his first attempt at 'mining' the Berlin experience, a daring novel for the time, Mr Norris Changes Trains, whose engaging anti-hero is a gay masochist, a petty crook, and an eventually treacherous communist. If the book has a real hero, it's the communist leader Bayer, who's tortured and murdered by the Nazis towards the close of the novel.3 The narrator, William Bradshaw, describes his own involvement with the Party, and few readers would have doubted this reflected Isherwood's own experiences, or at least his sympathies; the more perspicacious ones would have noted with what distance his communist activities are described, and perhaps foreseen the coming apostasy. At first the two writers lived in a luxurious bathing cabin at fashionable Repulse Bay, and then they moved in with University Vice-Chancellor, Duncan Sloss. Isherwood reported in a letter to his mother of February 25 that he was ‘extraordinarily kind’ and that he’d agreed to acts as a poste restante service for future letters.8 Sloss was a polymathic dinner-table conversationalist,9 and he was the distinguished editor of William Blake one of the radical thinkers who'd influenced Auden, but this amiable and interesting host doesn't seem to have softened their disapproval of the Hong Kong British. Perhaps it's rather strange that rather than living in comfortable surroundings and mixing with 'government officials and millionaire at 'formal dinner parties',10 the two revolutionaries didn't get into the streets and tenements and meet the Chinese, who made up about 98% of the Colony's population. That's what another left-wing writer in Hong Kong at about the same time did; New Zealander Robin Hyde's book The Dragon Rampant (1939) describes some of the scenes of majority life that Auden and Isherwood seem to have ignored. Who was this 'businessman'? The answer lies in a letter written by another distinguished English writer, William Empson, in Hong Kong for a break from the demanding task of teaching English in a Chinese university on the run from the Japanese. 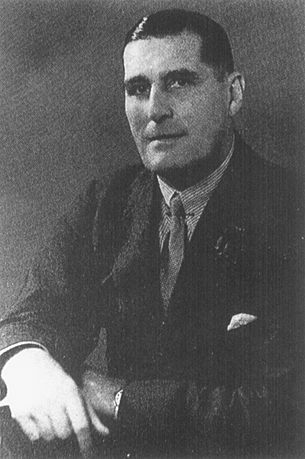 The 'Governor', Sir Vandeleur Molyneux Grayburn - in the words of a colleague, ‘A strong, vigorous, I should say reckless personality’13 - was born in England on July 28, 1881 and educated in Jersey and Staffordshire. After an apprenticeship at a bank in Goole (Yorkshire), he joined the HKSBC at the age of twenty, remaining in the London office until December 1904, when he was posted to Shanghai.14 He was sent to Hong Kong in 1920 and appointed head of the Bank in 1930 at the age of 48; he'd been in the East for 26 years, and some felt he lacked the broad geographical experience needed for the job.15 As a result of the events I'll describe in my next post, Grayburn is sometimes cited as an inspiration to today's bankers, who should also note that in his first year, Grayburn declined the full salary package he was offered, accepting payment of £6,000 for the year’s work16 – that's a little short of £300,000 in today's values, which most bankers today would probably consider not quite what the senior financier in the Far East should be expecting. Later, it was to play an important role in the Japanese occupation, and, as we shall see, before that it had been spotted as a useful symbol by the disapproving eye of W. H. Auden. It's possible that Grayburn was just trying to wind up the young radicals; I doubt that Auden made much of a secret of his dislike of Hong Kong life in general and bankers in particular, and Grayburn might have just been getting his own back or mockingly living up to the role he realised he'd been cast in. But there's no doubt that he could well have meant what he said, as he felt a sense, not uncommon in the Colony before the war, of the deep superiority of 'Europeans' to Asians, and of the English to all other 'white' nationalities. In a 1937 letter about bankers wives he wrote, 'Foreign, native, half caste are definitely taboo'17 and he operated a 'no Chinese wives' policy for his staff – he was hardly unique in doing so, of course, but I've not seen any evidence that it went against the grain. In fact, he's said to have commented that even the Bank's one American employee was 'one too many'18 It's easy to write this off as 'the beliefs' of the time, but not everyone in Hong Kong then was racist. Selwyn Selwyn-Clarke, for example, was packing for the journey out at about the time the two writers left the Colony for Canton, as he'd been appointed Director of Medical Services, giving him cachet almost equal to Grayburn's. The doctor was sublimely indifferent to racial judgements, as was his wife, the soon to be notorious 'Red Hilda'. Besides, Grayburn was quite capable of defying convention when he wanted to, and it was said that his third wife enjoyed the dignities of that situation before they were strictly married. His second wife filed for a UK divorce on the grounds of desertion (under then recent legislation) and this was uncontested.19 I doubt that divorce was any less of a stigma in polite society in pre-war Hong Kong than it was in Britain and this doesn't seem to have bothered Sir Vandeleur. In summary, King believes that Grayburn, in spite of his complaints and his doubts about the political situation, remained “committed to ‘Free China’”23 So it seems that it was with some justification at least that Sir Vandeleur claimed in 1940, 'I have done my utmost to do what I consider is the principal duty of the Hongkong Bank – to help Hong Kong and China and the Government of both places – and I think I have done it. '24 Frank King tells us he received the Chinese Republic's Order of the Brilliant Jade for defending the currency of the Republic of China,25 and it would greatly support this claim if this is true, but, if Wikipedia is to trusted, this is a one-rank decoration awarded only to foreign heads of a nation.26 My guess is that he was awarded an honour by the Chinese Republic, but perhaps not this one. In other words: 'the leading British people here are all show, albeit stylish show, and their morality is what you’d expect of capitalists who began by trading in opium and continue to make a fat living by selling the products of others' labour’. Some commentators have seen the rejection of Rousseau's idea of a 'General Will', a collective desire that individuals should if necessary be forced to submit to, as a sign that Auden was on his way to the abandonment of Marxism. But in context they are rather a rejection of the capitalist idea that if you live in a 'place like Hong Kong accordingly and not bother about rigorous ethical standards. No-one, in other words, should claim that their actions are the result of the ‘manners of a modern city’ or of some entity like ‘the British in Hong Kong’. So there you have it: two highly intelligent and principled writers spend a fortnight in a British Colony stuck in the 'Late Victorian'30 age and, their antennae made even more sensitive because of their mission to report a brutal war of aggression going on over the border, they see through the racism, smugness and naiveté of the ex-pat community, and sum up it all up by reference to the words, deeds and lifestyle of one its most prominent representatives, the real ruler of Hong Kong, 'The Governor's Governor'. 1I'm simplifying but I hope not falsifying a more complex textual history – see Edward Mendelson, The English Auden, 1977, 421-422. 27This poem wasn't part of the manuscript sent to the publisher – Auden and Isherwood planned to write 'Hongkong-Macao: A Dialogue', but then rejected the idea and Auden added a sonnet on each place instead – Mendelson, 1977, 425. 30See line 10 of Auden's sonnet, Journey to a War, (1939), 1973 ed. page 13.